What's your fondest memory of your childhood? 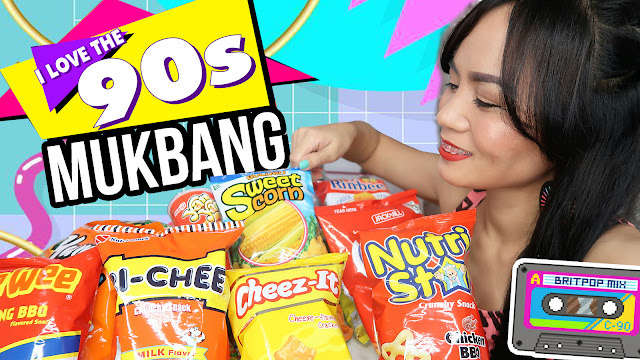 Mine, though a little unhealthy, is munching on 90's popular snacks! Pritos Ring, Sweet corn, Rinbee, Nutri Star, Tomi, Humpy Dumpy and so on! One day, I was at a grocery and saw a bunch of chichirya from my childhood so I decided to film a fun 90s chichirya mukbang video. But first, what is MUKBANG? 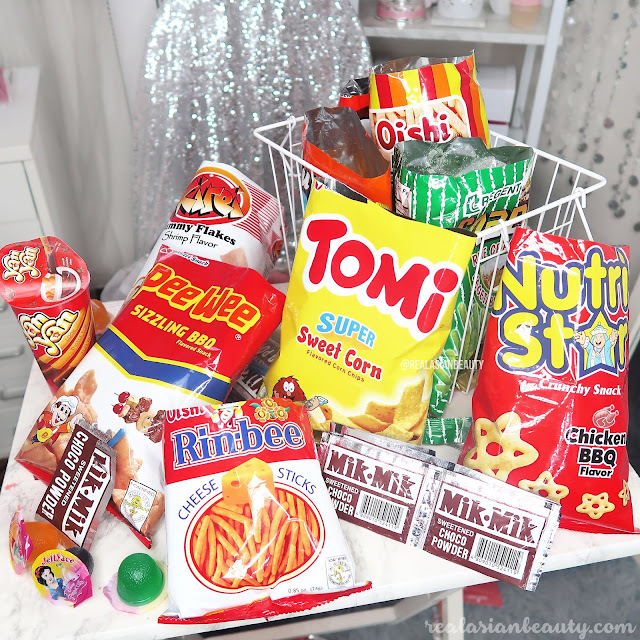 Mukbang or MEOK-BANG comes from two Korean words "MEOKDA" meaning to eat and "BANGSONG" meaning broadcast. It is a live or taped online broadcast in which a person eats large amounts of food while interacting with audience. The term and the concept originated from South Korea starting 2010. Now that you are aware of the meaning of the term, let me show you some of the snacks I have. I just want to note that eating oily, fatty and salty food, especially if consumed in large amounts, is not good for your health. If you binge-eat chips, at least do it once in a while. If you can't stop your craving, at least drink lots of water after so the salt gets washed out from your body. Be sure to also eat healthy food like fruits and vegetables. WATCH MY VIDEO for a trip down memory lane ala 90s CHICHIRYA! I'm a bit sad I wasn't to find Pritos Ring. Did they stop manufacturing it? Sad because that was really of the chips I enjoyed eating when I was a kid. I remember buying a small pouch of it for only Php 1. Yes, PISO! How about you? What is your fondest memory of your childhood? We'd love to hear your story by commenting it below! If you liked this post, please don't forget to FOLLOW me on my social media accounts!